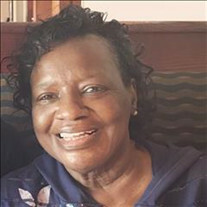 Funeral services for Helena N. Norman, 64 of Jenks, Oklahoma, will be held Tuesday August, 21st at 11:00 am at the Family Prayer Center, 1818 W 86th St. Tulsa. She died on Thursday, August 16, 2018, in Tulsa, Oklahoma. The family of Helena N. Norman created this Life Tributes page to make it easy to share your memories.